Is it Butterflies… Or the Bubbles? Happy Love Month to all you Valentine’s Day enthusiasts out there! 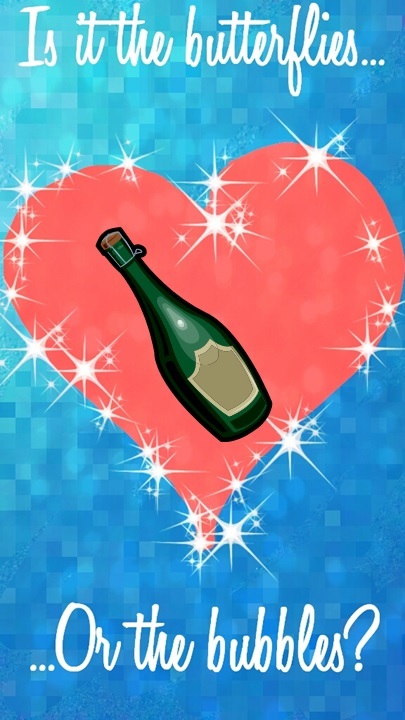 For those of you that are less enamored with the forced love celebration, at least it’s an excuse to drink champagne with the one you love. Not that you need an excuse, mind you, but there are lots of great deals and promotions this time of year that make taking advantage of this Hallmark-driven holiday a rather attractive proposition (and honestly, how tough can a great meal and bubbly with your loved one really be?). Wine.com is running a spectacular deal from one of my all-time favorite Champagne houses: the Piper-Heidsieck Rosé Sauvage “Bodyguard” Limited Edition sparkler is just $49.99 with this deal. That’s 33% off! It’s a dry sparkler, with plenty of brioche notes, red fruit flavors, and toasty richness. The flamboyant, pink crocodile (latex) skin bottle also makes this one perfect for a Valentine’s girls night out! Wine.com also has a number of great deals on sparkling wine and chocolate packages (you know, if one-stop shopping is your thing). Mumm Napa Brut Reserve Rosé is 20% off for Valentine’s Day; pair it with some pink roses, as they suggest, and you’re on your way to one romantic evening. Mumm even has a creative, easy appetizer recipe to pair with this dry bubbly to set the tone for romance. At just $14 a bottle, Michelle Brut Rosé doesn’t need a special promotion. A dry sparkler with plenty of character, Michelle offers some cocktail recipes to dress things up even further. While the French Kiss may seem like the logical place to start, my pick would be Everybody’s Sweetheart. However you decide to celebrate, here’s wishing you a romantic evening worthy of one of these great deals. Cheers!